On Thursday, you’ll be able to give $30 to Nintendo in exchange for Minecraft on Wii U, which is something a lot of people thought might never happen, but hey, we’re here. This afternoon I spent a few minutes poking around in a Nintendo-provided copy of the game, and it runs great both on a television and mirrored on the GamePad. This Wii U version of Minecraft has solid controls—the ZL and ZR triggers let you activate and break things, respectfully—and seems to perform well, from what I’ve tested. 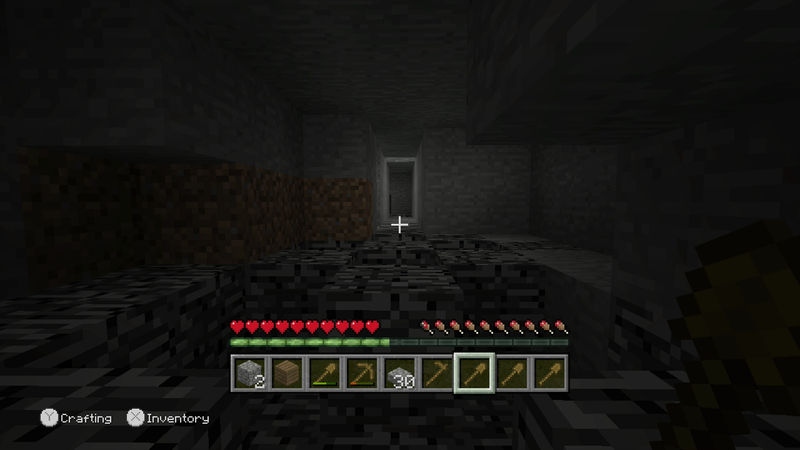 I can confirm, based on this extensive testing, that Minecraft Wii U will still let you A) punch villagers; B) get killed by zombies while you’re paused because you’re accidentally playing in an online world; and C) dig a hole as far down as possible until you hit bedrock and then spend a solid 30 minutes googling “destroy bedrock cheats” until you give up and turn off the Wii U.
I must confess, though, I would’ve loved to see Mojang take advantage of the touchscreen to make inventory management a bit better. Right now you can use touch controls to select items on the bottom of the screen during regular gameplay and while you’re crafting new objects, but you can’t use it to sort your inventory, which doesn’t make a lot of sense. All that said, this is a perfectly fine version of Minecraft, and if you’re willing to dish out the cash for yet another version of the stellar digital LEGO game—or if you’ve never played it before and want to try on Wii U—this is a good way to go.